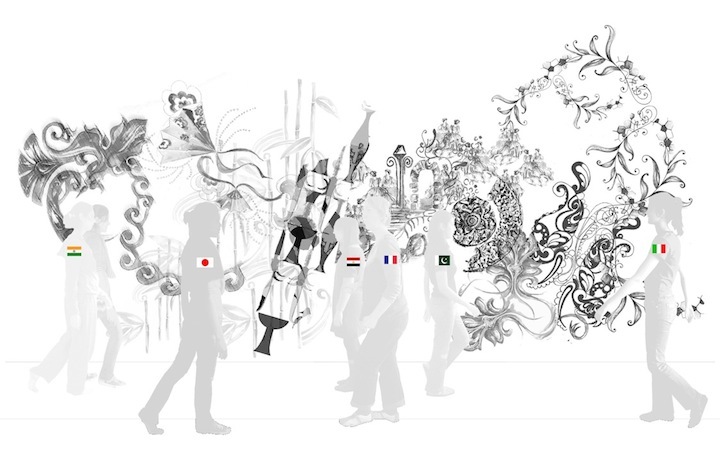 Interactive Wall, a concept that I developed suggesting virtual interaction among people from different cultural backgrounds. 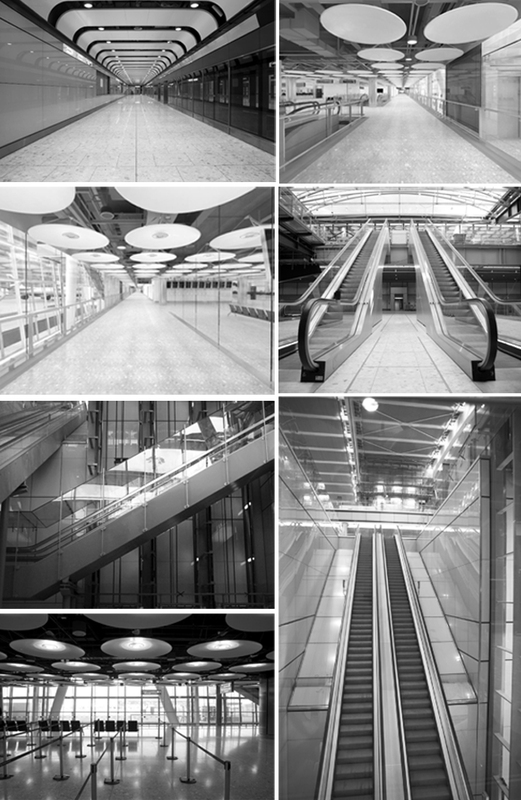 Marking a non-place like airport with identity and giving a new outlook to multiculturalism. The project intends to re-­evaluate the importance of craft in the context of evolving digital imaging and interactive technology; development of digital methods to research, new design and presentation pattern in relation to ‘future’ of virtual textile space. 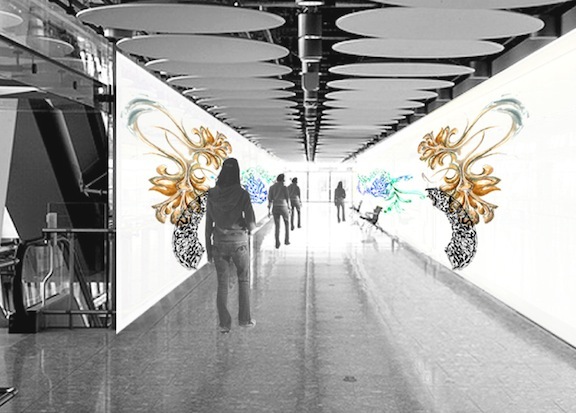 Keeping the philosophy of place and non-place in focus, interactive wall explores such spaces with-in the airport that could be used as a platform for interaction between humans or human and digital through the dynamism of pattern. 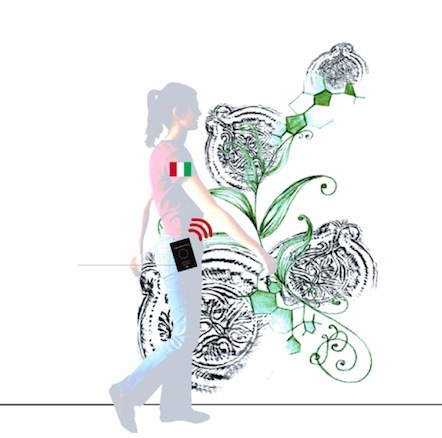 How it works: The RFID module readers located in the corridor space will detect from the RFID chip in the passport the native country of the individual, thus producing pattern animations on the OLED screen installed in the corridor. These patterns move with the individual in the form of a silhouette/shadow. The Wall not only displays craft-patterns from the individual’s native country, but at the same time acts as a monitor that maintains the flow of people using the corridor space.